This dish is inspired by my cousin Joan, who also inspired me of singing as well. Joan used to be known as the best singer in town. I used to hum along at the background while she did her practicing. Trying not to make too much sound that anyone could ever notice me, because I just wasn’t good enough. But hey, time flies. I’m happy that I’ve got to be on the stage in front of everybody and sing my lungs out every now and then. It feels good! Anyway, Joan has made this dish to me right about 13 years ago. Yes, I remember because it was so delicious that I could not forget. But her version includes chicken and chicken powder which I skipped this time. 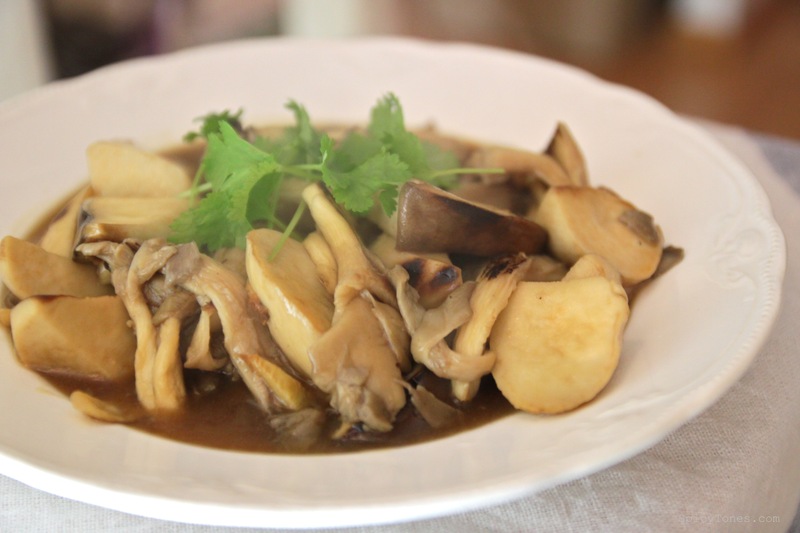 You should definitely make this dish if you like mushroom or ginger. 1. 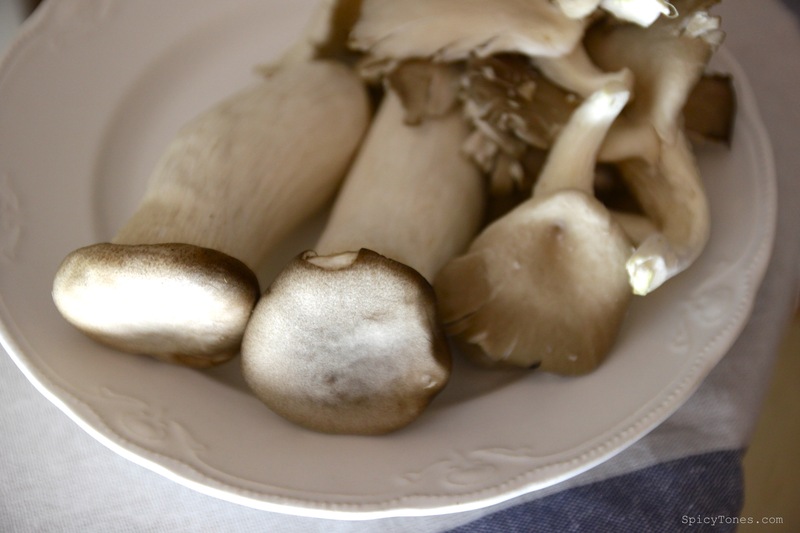 Clean mushrooms with damn cloth or wash if you prefer, cut into edible size. 2. 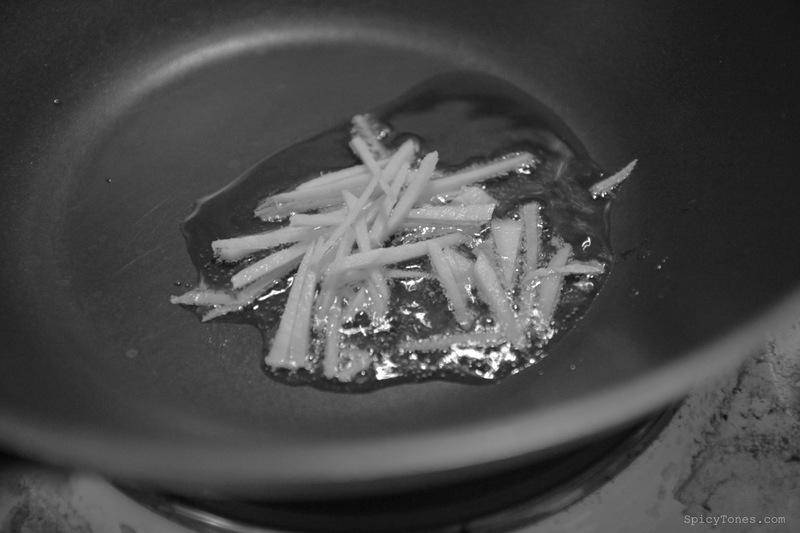 Heat up 2 tbsp oil in wok pan, add in sesame oil and ginger. Fry until the ginger turn golden brown. 3. 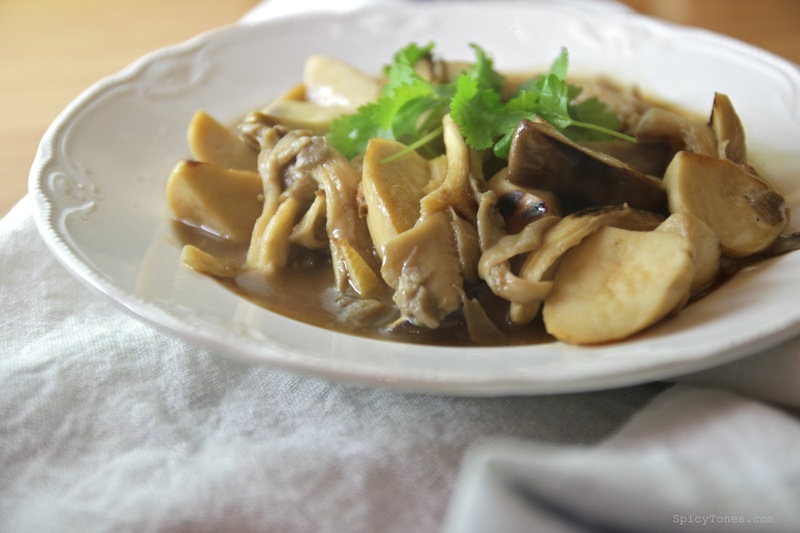 Add in mushrooms, oyster/mushroom sauce, Shaoxing wine and white pepper. 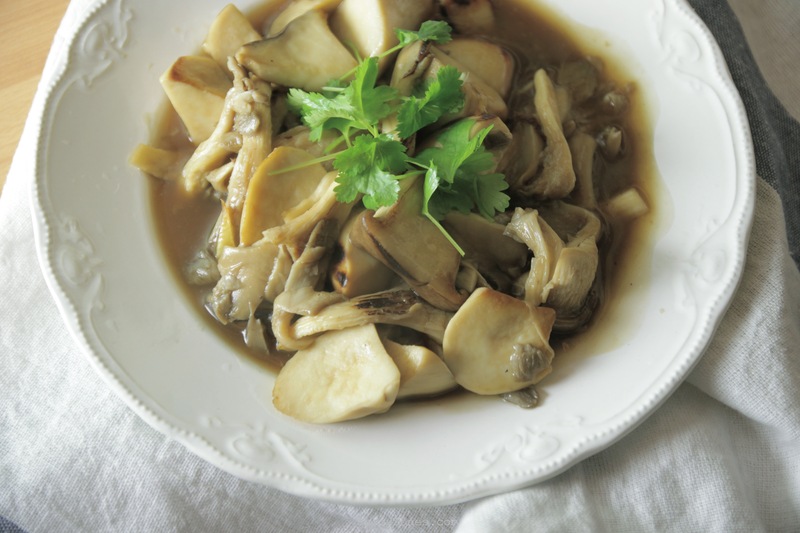 Stir-fry for a few minutes until mushrooms are soft and cooked. 4. 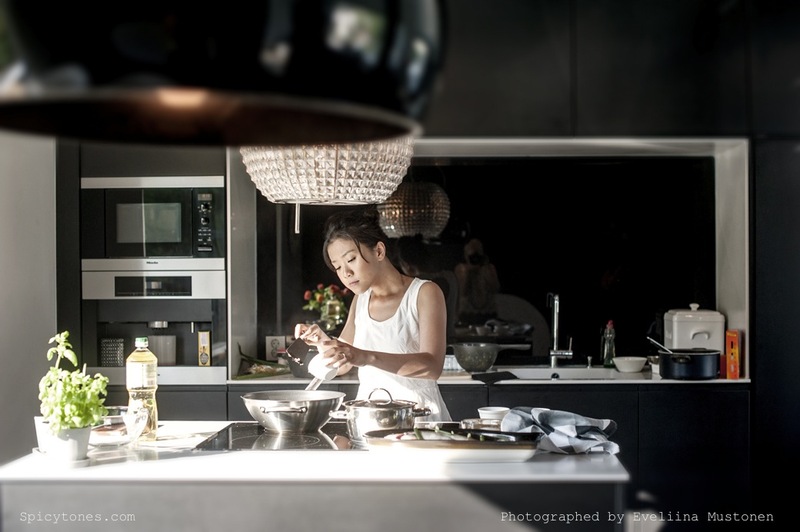 Mix potato flour with water, slowly stir-in the wok pan. Stir fry until the gravy is boiling and formed. Serve with rice. I personally like this dish to be quite mild with simplicity. But I think some of you might want to add a dash of salt, as you wish.